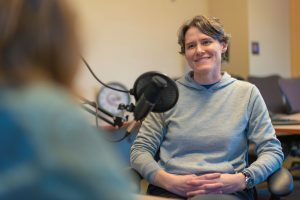 Jennifer Forsthoefel, Assistant Professor of English, recalls her early experiences with poetry and English, considers the evolving needs of modern writers learning their craft at the University level, and shares her vision for an expanded Writing Lab at Augsburg. 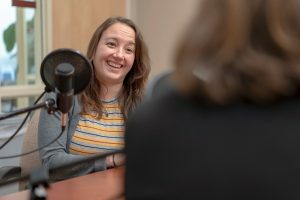 Katie Bishop, Chief Student Success Officer, discusses the multiple pathways Augsburg is working to build systems for student success all the way to graduation, inclusive of identity, cultural competence, affordability, and a meaningful degree. Some stories were meant to be read aloud. 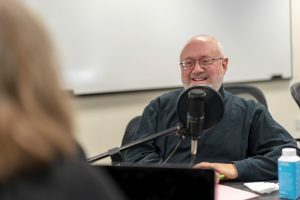 Doug Green, Professor of English, recalls his path to Augsburg and reflects on the capacity of the spoken word to give new life to the roles we play: both those performed in dramatic literature and those that we embody, ourselves, in our everyday lives. 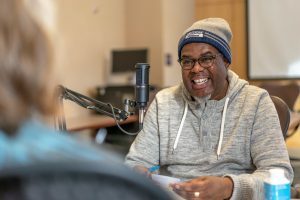 Terrance Kwame-Ross, Associate Professor of Education, unpacks language, power dynamics, and our sense of “Place” as major forces of influence in our worldviews — both as students and as educators. 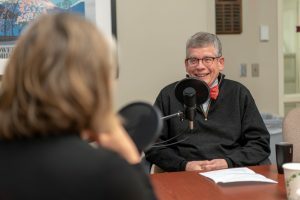 Associate Professor Bob Groven (Co-Chair of the Department of Communication Studies, Film and New Media, and the Director of the Minnesota Urban Debate League) breaks down the power of constructive debate as a force for positive change, understanding, and empathy in our society. 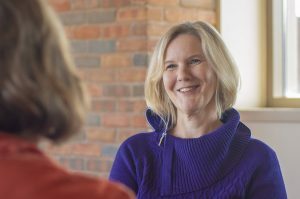 Pastor Sonja Hagander recalls her path to the ministry, explores Augsburg’s tradition of Interfaith excellence, and considers how the practice of faith evolves in response to its circumstances. President Paul Pribbenow explores family, faith, and prioritizing the student experience of present and future Auggies. Diane Pike, Professor of Sociology, explores the social nature of learning and the interchanges between the disciplines of sociology and teaching. 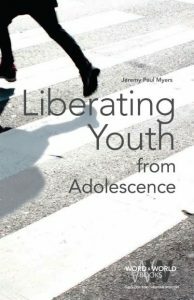 This is how Dr. Jeremy Myers, associate professor of religion at Augsburg, begins his first book, “Liberating Youth from Adolescence.” The book is scheduled to be released in paperback and ebook format on Oct. 1 by Fortress Press. Myers says he has been teaching this material in the Youth and Family degree program at Augsburg for the past decade and it was an honor and privilege for him to finally put it down on paper for a larger audience. 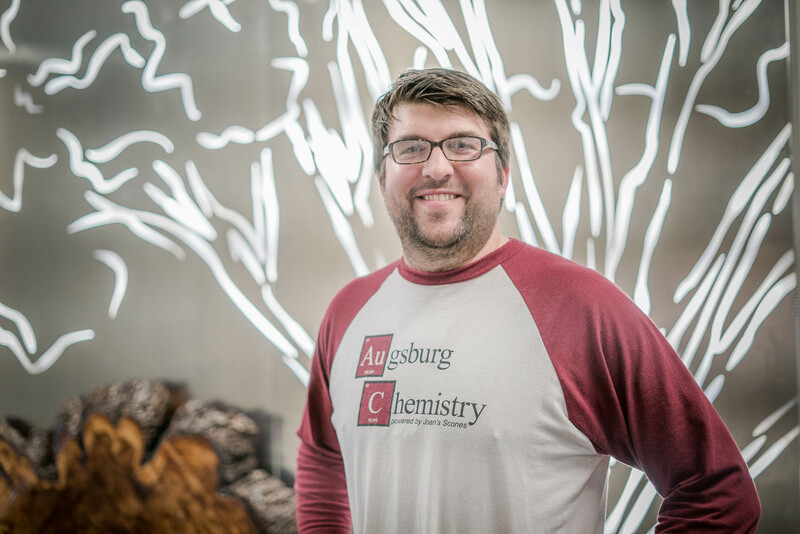 Jeremy Myers has been teaching at Augsburg University since 2006. 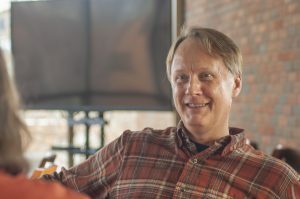 His approach to instruction includes a faithful, honest, and critical look at people’s lived realities while simultaneously attempting to seek and proclaim meaning, truth, and hope within the context of that reality. This is also how he approaches his discipline of Theology & Public Leadership. 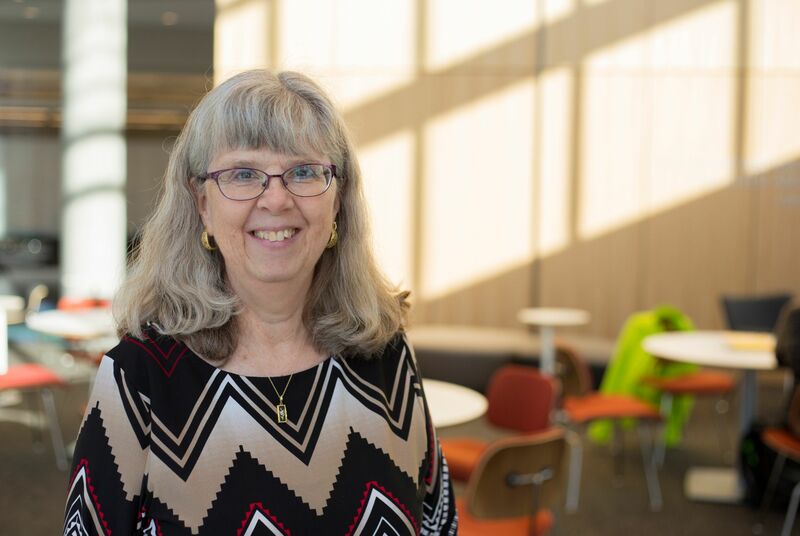 Therefore, he often incorporates insights from sociology, psychology, cultural studies, and ritual studies into the class’s theological process. 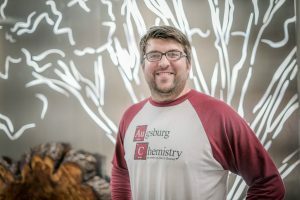 In addition to teaching, his work at Augsburg University includes directing the Theology & Public Leadership major, the Youth Studies minor, the Augsburg Youth Theology Institute, and the Riverside Innovation Hub. 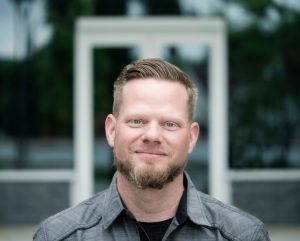 Jeremy’s areas of research include youths’ experiences of God’s presence and activity, how young people construct theology, contemplative youth ministry practices, interfaith youth work, a vocational understanding of young people, and a public understanding of church.